↑ मोहनदेव पन्त (2001). हर्षचरितम् (खंड 1) 1-4 उच्छ्वास. मोतीलाल बनारसीदास. पप. 46–. ISBN 978-81-208-2615-1. ↑ Abhijñāśakuntalam, etc. (Kalidasa's Abhijnana Sakuntalam. Edited with an introduction, glossary, English and Bengali translations, various readings,&&&[sic] and the commentary Sarali by Pandit Nabin Chandra Vidyaratna ... New edition.). 1822. पप. 2–. ↑ गौरीनाथ शास्त्री 1987, p. 80. ↑ राम गोपाल 1984, p. 8. ↑ आचार्य अभिषेक 2013, p. 11-12. गौरीनाथ शास्त्री (1987). A Concise History of Classical Sanskrit Literature. मोतीलाल बनारसीदास. ISBN 978-81-208-0027-4. राम गोपाल (1984). 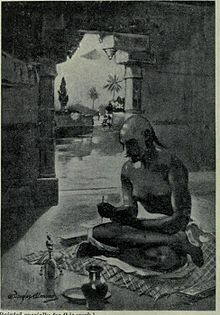 Kālidāsa: His Art and Culture. कांसेप्ट पब्लिशिंग कंपनी. आचार्य अभिषेक (2013). देवी भागवत. यूनिस्टार बुक्स. ISBN 978-93-5113-031-4.